The mouse spider (Scotophaeus blackwalli) is so called not because it eats mice but because it has a lovely soft furry abdomen just like a mouse! I for one am quite relieved about this. Another thing to be pleased about is it isn’t related to the Australian mouse spider which probably would have a go at a mouse. The mouse spider is relatively common throughout the UK, although not seen in the far north. It prefers the indoors, which might suggest it was once native to warmer climes. Often seen in sheds and attics it can sometimes be found outside, under the bark of trees. It has been noted that those found outdoors are considerably bigger than those inside. The mouse spider can measure up to 12mm along the length of its body, making it a touch smaller than a large false widow. S blackwalli can give people quite a fright owing to its nocturnal hunting habits. It may be spotted creeping along walls and ceilings looking for prey. Not what everyone wants to see when they turn the light on for a midnight pee! 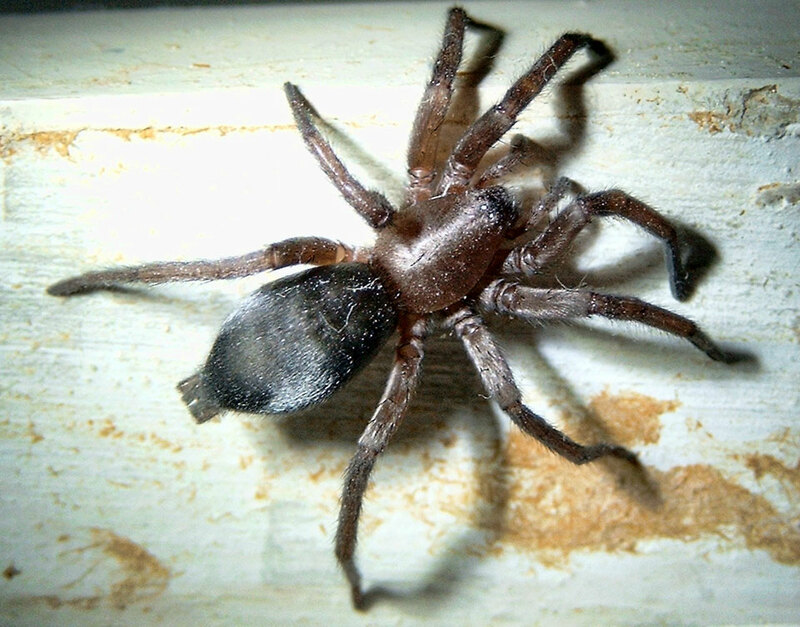 The European mouse spider is one of the few species of spiders found in the UK that are capable of inflicting a bite on humans. They have sufficiently large fangs to penetrate the skin and the bite is described as being painful. One report states the bite resembled a pimple with a pus-filled head surrounded by red. This led to the whole hand becoming infected. Whether this is directly attributable to the spider bite is difficult to know.